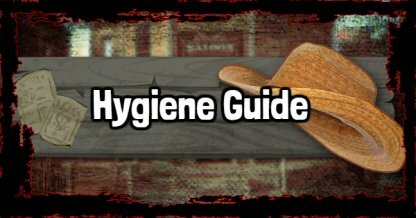 Stay clean in Red Dead Redemption with this guide! This includes how to bathe, shave, & get a haircut, as well as how appearances affect how people treat you in the game. 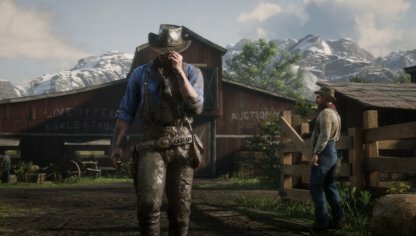 In Red Dead Redemption 2, your appearance will have an effect on how people in the world will act towards you. Come into town with mud all over you and you will see townsfolk actively avoiding you. Establishments and stores may refuse to give you service if your appearance is dirty or if you're starting to smell. Be sure to maintain an acceptable appearance to be able to get these services. Players will have the freedom to choose whether to grow out Arthur's hair or to cut it short. You can even shave his head if you wanted to! If you do decide to cut his hair, you will have to wait for his hair to grow back after! Make sure that you will commit to his haircut or you will be waiting quite a bit to fix it. 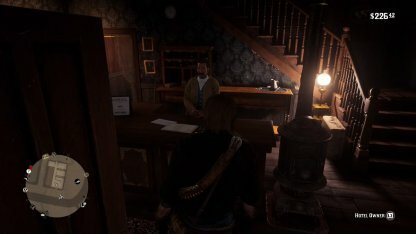 Arthur's hair can only be cut at the Barber found in Saloons. 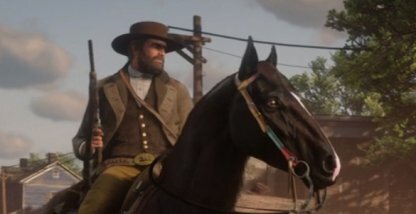 You can choose which styles you want from there, but certain cuts depend on the current length of Arthur's hair. 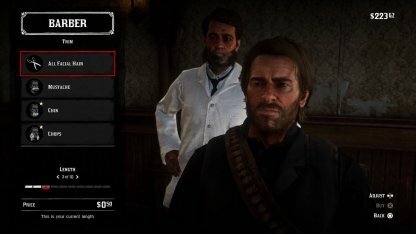 Just like Arthur's hair, players can also choose the length and appearance of his beard. 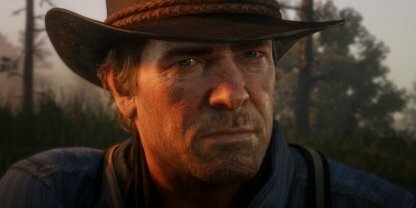 They can keep growing it out or just shave it all off to show off Arthur's impressive jaw. 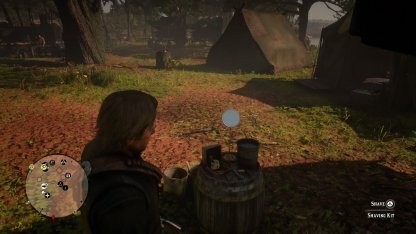 At your tent in the camp, you will find a barrel with a mirror where you can shave your beard. There you can choose which style and length you want as a whole or per specific facial hair. Alternatively, you can also get your beard shaved at the Barber, but unlike the one at your camp, this will cost you money. It's also very convenient as you can get a haircut and shave in one sitting. Bathing will help players get rid of any dirt and blood Arthur may have gotten on his adventures. A freshly bathed Arthur is much more accepted by people than a dirt-ridden one. Take a warm bath and scrub away the dirt of the road in the bath tubs of hotels. It will cost you a few cents, but it's worth the price for Arthur's overall cleanliness. 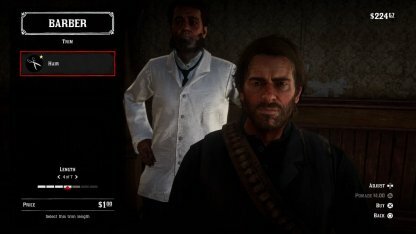 You can opt to get the deluxe bath which will have a woman scrub down Arthur. In exchange for 50 cents, you will not have to manually press buttons to clean Arthur. It is also important to remember keep your horses clean as well. 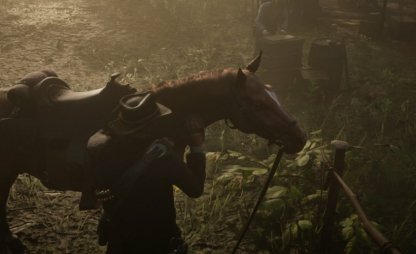 You can clean your horse by using a brush by interacting with it while off it's saddle, or ride them through a body of water for a dip. You should be able to wash your face in lakes and streams.